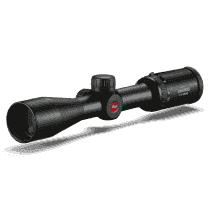 Leica introduced its first riflescope in the early 1950s. It soon became famous, standing out from the competition because of its true internal focusing system. 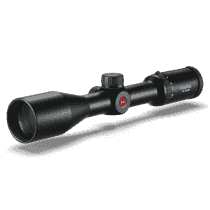 Leica stopped and resumed riflescope production a few times during the past 50 years. 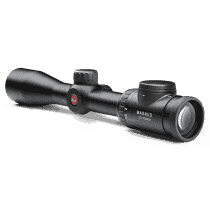 With the Magnus series, they hit the jackpot – these Leica scopes were well-accepted among hunters because of the high performance optics, great color fidelity, amazing contrast, modern yet traditional design, top-notch build quality, and innovative illumination system. 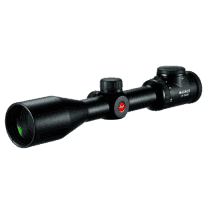 Today, there are four riflescopes series in Leica's offer: Magnus i, Magnus non-illuminated, ER and Visus. 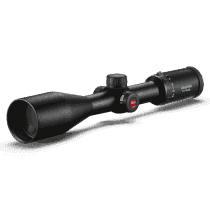 Magnus is Leica's premium riflescope line. The illuminated models were introduced in 2011. A few years later, the series was upgraded. At the present time, there are four models available: 1–6.3x24i, 1.5–10x42i, 1.8–12x50i and 2.4–16x56i. 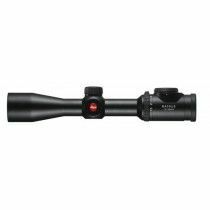 These riflescopes from Leica currently boast the biggest field of view in the category of hunting riflescopes. 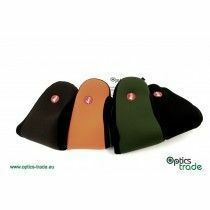 The high contrast and vivid colours that they produce can only be matched by a few premium riflescopes made by other famous manufacturers. 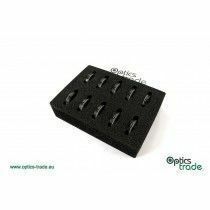 They offer an outstandingly high light transmission rate of 91 %. The illumination intensity regulation department is unique – the knob on top of the eyepiece can be turned either right or left to adjust the intensity of the dot to daytime or dusk. Furthermore, the knob can be pressed down on either side to switch between individual illumination intensity levels. 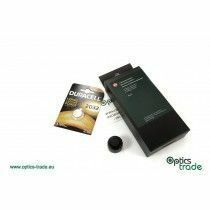 The illumination will automatically power off if the optic is pointed upward, downward or flipped to the side to preserve battery life. 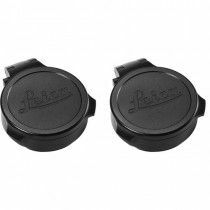 They feature a 30mm tube and can be ordered with a Zeiss ZM/VM rail underneath. 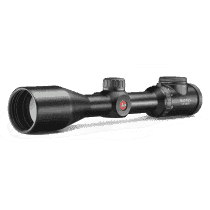 Furthermore, all models except the 1–6.3x24i can be ordered with Leica’s high-quality ballistic turret with a locking function. 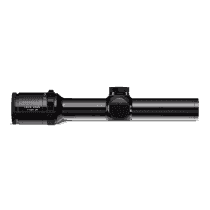 The non-illuminated Magnus riflescopes offer the same features as their illuminated counterparts except for the illumination which they lack. In this series, there is no wide-angle model, but the other models are the same as regards the magnification range: 1.5–10x42, 1.8–12x50 and 2.4–16x56. 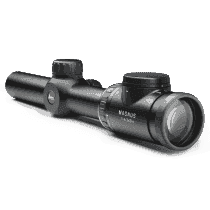 The main reason for the introduction of these riflescopes was to cut down the price – these riflescopes are cheaper than the Magnus i series. 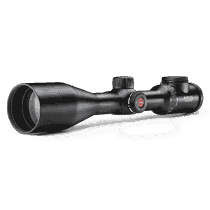 As such, they are great for hunters who have no need for illumination but still want to experience the superior optical quality of the Magnus series. 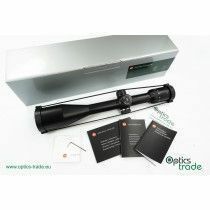 The ER riflescopes were first introduced in 2009 and were very innovative at the time. In 2013, they were upgraded. This series was made for ambitious shots at long distances. Now, only a single model remains in the ER family – 6.5–25x56 LRS. 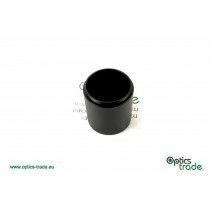 It features a fine crosshair reticle, a high light transmission rate of over 91 % and products an image full of vivid colours and high in contrast. The models once featured an illuminated dot but Leica chose to stick only with the non-illuminated model – in a way, that is understandable, since, at a long distance, an illuminated red dot often covers a fair deal of the target and disturbs the shooter. The parallax can be set from 50 m to infinity. 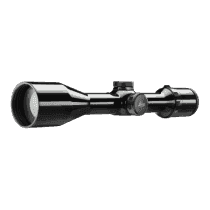 Three reticles are available: L-4a, L-Ballistic, and Magnum Ballistic. 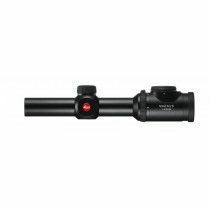 Leica Visus riflescopes were introduced at IWA in 2016. 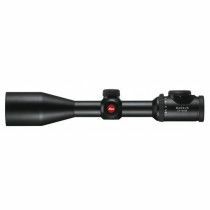 These riflescopes are a combination of elegance, style and modernity. Currently, there are three models available: 1–4x24, 2.5–10x42 and 3–12x50. Each of these is available in two finishes: matte and glossy. If someone wants to stand out of the crowd, the glossy version will definitely see to it. The glossy versions go especially well with premium, classic firearms, particularly break-barrel rifles. These riflescopes come with capped hunting turrets and an L-4A reticle. They feature a 30mm but the models with a matte finish can also be ordered with a Zeiss ZM/VM rail underneath. For 2.5–10x42 and 3–12x50 with a matte finish, there is an option of choosing an elevation BDC turret.